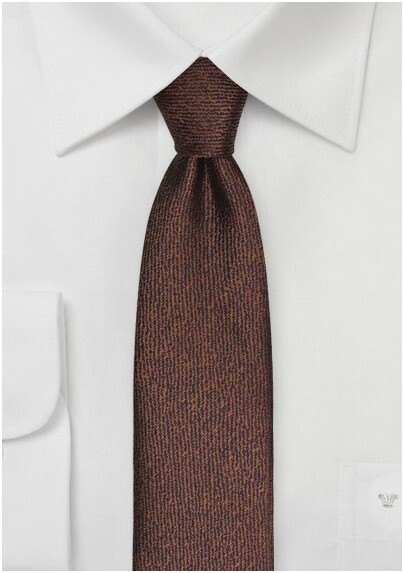 The Skinny Mens Tie in Chocolate Brown is just the tie you've been looking for to add to your business wear collection. 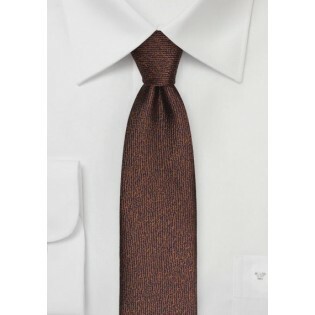 The brown shade would compliment a dapper olive suit, the perfect accessory to warm up a winter outfit. The subtle textured woven microfiber pattern is woven onto the fabric to create an added dimensional effect, highlighted by the satin sheen of the material. This tie is available in various colors including blush pink and deep purple, so you're sure to find a shade to match your preference!